It is essential that all young children are taught to wash their hands effectively with soap and water – it’s been described as “the most important lesson a child can learn”. And these skills should very much be utilised whenever kids spend time with live Easter chicks and other animals, according to a recent stark warning on the Forbes website. 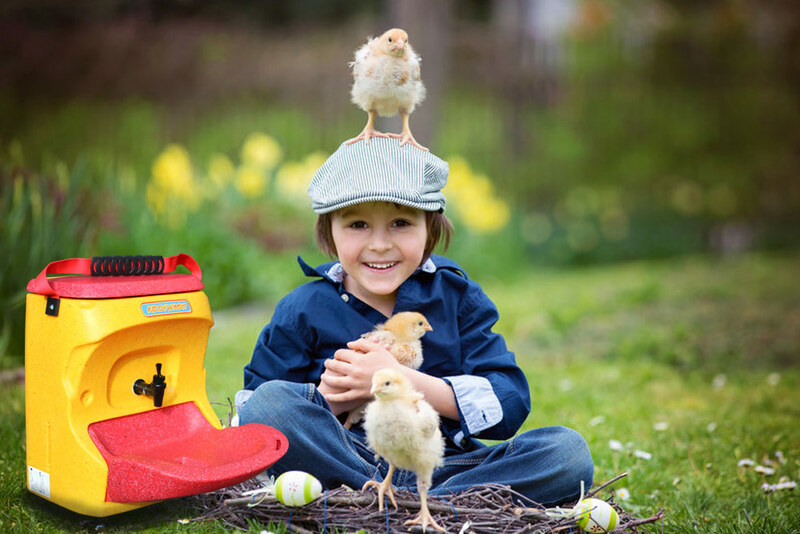 The article by Tara Haelle refers to the widespread practice of presenting children with live Easter chicks, not realising that they carry in many cases Salmonella – which can easily be passed on to the kids. Ms Haelle’s article focusses on the US, where the bacterial illness causes 1.2 million outbreaks every year, with 23,000 people needing hospital treatment for the illness, which also causes around 450 deaths in the same period. Hand washing is vitally important according to the article. Hand sanitisers are not really suitable: an effective soap and water hand wash is far more effective. The Centers for Disease Control and Infection (CDC) also warns about the vital role hand washing has to play when it comes to Salmonella control.